Dr Stanzin Dawa, Principal, Lamdon Model Senior Secondary School, Leh: Handing over smartphones to children is neither a smart nor stupid step but why and how you are handing over the smartphone makes the difference. Handover the smartphones to children come with great responsibility for parents. The smartphone is one of the dominant technologies of the 21st century. When we talk about school students, there are advantages and disadvantages of having a mobile phone. Students can improve themselves with the help of a mobile phone, or they can spoil their life with the same. It all depends on how they use mobile phones. For example, a knife is used for chopping vegetables and the same knife has the potential to take the life of a person or people. Earlier, the parents had to worry about the kids not coming home on time as they used to play outside which has much significance for a child’s development but today the situation is opposite. Many children can play better cricket shorts than Virat and Sachin, they hit more sixes and fours but not on the cricketing ground only on the mobile. Even though they concentrate on their studies their mind goes to play stations and mobile phones. Nowadays I saw lots of students who are distracted by mobile phones. Today many parents complain that their children are always busy with the mobile instead of studies and sports. I think children love it because they can download games and access to any videos or information. So, what will happen to the students who have their own mobile phone without knowing how to use it meaningfully? Simply they will play games and access to any videos and content. Spending hours on the mobile phone eventually affects a child’s academic performance, physical and mental health. When a child is physically engaged in some constructive activities he/she will have proper growth and development. Sports can play a significant role in developing a child’s life skills. They can learn multiple skills such as decision making, communication, interpersonal, coping with failure, discipline and working in a team environment. Unfortunately, it is not true for playing unrestricted games on mobile which not only kills a child’s time but also creativity in dealing with real-life situations. The analysis of American Medical Journal has claimed that mobile phones emit radiation and have a negative impact on a child’s mental health. Many parents casually hand over their mobile to children without realizing the negative effects. The child is neither prepared nor informed to use mobile appropriately. Hence, there is a high possibility that the child might misuse the technology inappropriately. Sometimes the children lock themselves in the room with a mobile without any supervision from elders and parents. It’s an indication that the child might be using the mobile inappropriately. Most of the students who have free access to mobile are addicted to mobile phones in playing games, chatting with friends and browsing sites which are not appropriate for their age. Parents and students if they are busy with phones neither they have time for their children nor for studies respectively. The family culture trickles down from parents to their children. How much time are you spending with your child on a daily basis? How much time are you spending on the mobile? 1. How was school today? 2. Did you learn any new knowledge or skills today? 3. Have you done anything good at school? 4. Do you need to improve in any specific area? 5. Can you show me your class work? 6. Have you got any homework? The old-school model of passively learning facts and reciting them out of context is no longer sufficient to prepare the students to survive, excel and thrive in today's world. Solving highly complex problems requires that students have both fundamental skills and 21st-century skills. With this combination of skills, students become the catalyst for their own learning process, guided and mentored by a skilled teacher. Keeping this into consideration schools need to introduce project-based learning that seeks to better prepare students for solving real-world problems and issues while teaching them what they need to know to succeed in school and life. Students should be assigned with locally relevant issues for project work. It will help them to understand real issues after taking extensive interviews with stakeholders and visiting various organisations. Besides understanding the causes, effects and the potential solution for the problem they will also learn about teamwork, problem-solving, research, time management, information synthesizing, and computer application. Instead of collecting facts and figures from the internet they will do an action based research on the real issue. Schools having digital based education can consider mobiles with proper monitoring mechanism in place to ensure appropriate use of mobile, otherwise having mobile within the school campus is probably a cause of distraction for students. • Buying a mobile phone for your children is easy, but thinks twice before you buy them. • Parents should keep a close eye on children while using a mobile phone. • Schools should create awareness on advantages and disadvantages of mobile for students and create a mechanism for safe use. 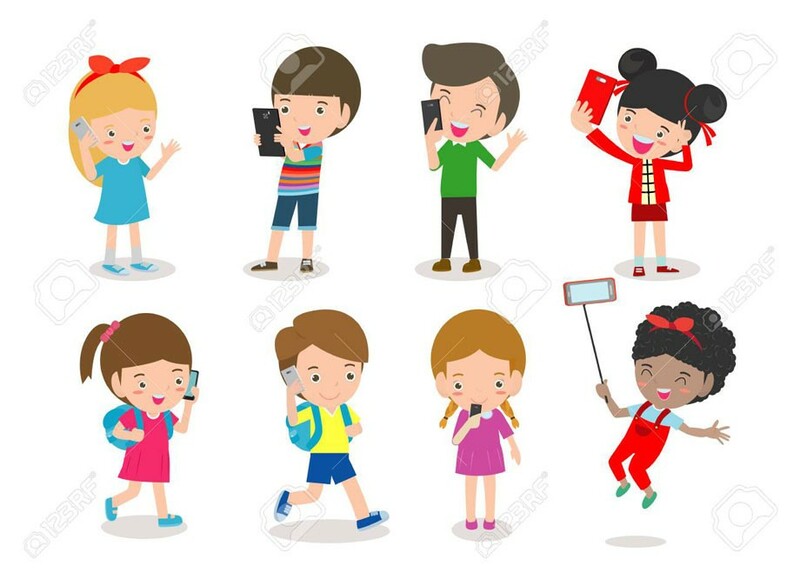 • Ultimately the child should be responsible enough to use the mobile appropriately and refrain from misusing it because the parents and teachers cannot be with them to monitor every time and everywhere. Phunchok Paldan, Scientist-D/DIO, NIC, Leh: The utility of the smartphones are valuable if handled properly. We all have no option but to adopt modern technology because if we avoid the technology we are marked as illiterate in society. With the help of a mobile phone, one can obtain extensive knowledge. A child can get desired information; the device is portable and easy to handle as the internet services are embedded in the phone itself. Mobile phones help in education and also connect us with the world. Students can share homework and diverse information with each other easily. Earlier we did not have access to information as we didn’t have newspapers and the magazines. So, whatever the teachers used to teach in the class, students had to learn the same information. But today, students are bright as they verify the information on the internet. If the device is used judiciously, it has an ocean of information. Nowadays, we have more nuclear families and both the parents are working where they handover phones to their children to get in touch with them. There are many appropriate and inappropriate contents while using internet services. The child might get access to the inappropriate information thus getting addicted later on. Constant monitoring of a child while giving access to the mobile phone is a must to avoid any adverse effect. Most of the students are seen playing games on mobile phones which weakens the eyesight and becomes addicted. Also, it is immature when people take no time in capturing the accident scenes. People should be responsible enough while sharing images and information. Every individual has the right to expression. But an individual has to evaluate themselves whether they are doing the right thing or not. The technology may have influenced our lives, many people have become accustomed to the same but face to face interaction has rather become awkward. As per IT norms, if a person is caught sharing inappropriate videos he will be put behind the bars. Many people are not aware of the IT act and tend to do many things for their own entertainment. The law states that the admin of the group will be held responsible, so it is important for the admin to register themselves but where they have to register is yet not clear and no official notice is there. In J&K, as of now, I have not heard about the establishment of the cyber cell. The Intelligence Bureau is dependent on the cyber crime cell and it must be instituted in the same place as the department has to monitors 24*7. Monitoring is also very complex. The data works as per the gateway and that is the internet service provider. It is important to have a cyber cell to control and monitor. Kargil and Leh district have self-governance so such things must be brought in. In future, it will be difficult and will have a huge negative impact if the issues are not controlled. The cyber café are instructed to check the ID card of the person and to keep the copy of the same. People sign up many browsing sites and do not check the terms and condition. It is very important to go through before signing in as we declare and agree which means we allow the company to use our data. Later on, we cannot claim that they have misused our content as we gave 100 per cent undertaking. • The cyber cell is mandatory. • Every individual should be responsible enough to understand its effect.